Who needs Call of Duty, right? Feeling glum about the fact that Activision isn't bringing Call of Duty: Advanced Warfare to the Wii U? Don't be, because the publisher isn't totally abandoning Nintendo's console — it's releasing an interactive adaptation of the TV The Voice next month, which is surely just as exciting as shooting people with futuristic weapons. Launching on October 21st in North America, the game will aim to replicate the feel of the television show and comes complete with a microphone. 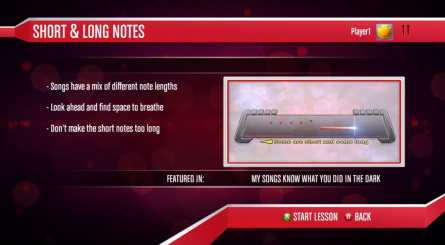 It's also coming to the Wii, and judging by the ESRB message on the cover, will support DLC for additional songs. A European launch is also expected, according to Amazon. 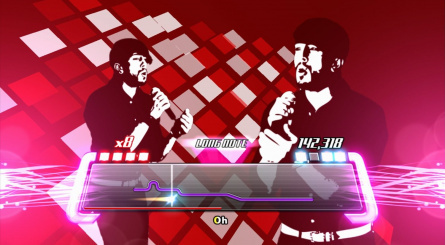 The Voice video game brings all the excitement of the hit TV show to your living room. 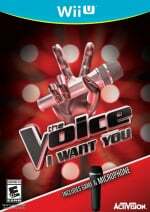 From the Blind Auditions, to the Battle Rounds, all the way to the Finale, experience the TV show with the ultimate goal of being named "The Voice." Learn tips and techniques to help improve your performances including breathing, singing runs and harmonizing in Voice Coach Mode. You can keep your cutting-edge FPS shooter, Activision. We'd much rather wake up our neighbours by singing badly to Total Eclipse of the Heart at one in the morning. ... I need "Call of Duty", god-damnit! Ugh. The one call of duty I want to play is about to come out and I can't get it on the system with free online play. I hope this game bombs terribly. Wow! This is going to be good! I would say that at least it comes with a free mic, but I doubt that's going to help Activision's case here with Nintendo fans. Great job, Acti! Someone should update them on the Wii U demographic. If there's one thing Wii U and Wii have in common, it's shovelware. I can't even sit through an hour of this show so I don't think this game will be for me. I love this show. Not really into FPS anyway. So I will probably get this. every time i ask anybody about the last two call of dutys they say they are rubbish, i thought they was pretty good, maybe i have missed a top notch first person shooter that nobody has told me about, ok so they are not metroid prime but hey i had a good ride! It may seem rubbish but there are those who have bought a Wii U for Just Dance so there will be an audience. Not for me personally but the Voice does have a good install base over here so there could be a chance that some will buy it for this and similar games. 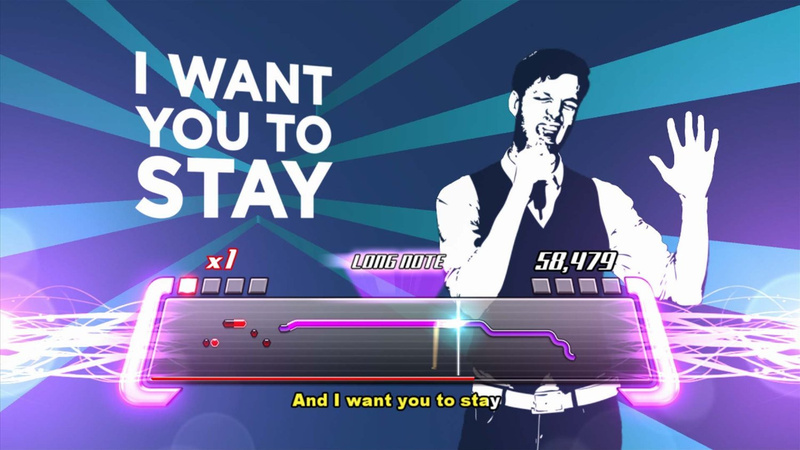 Oh wow, The Voice is coming to the Wii U!!! I can't speak for anyone else but I'm seriously hyped up for this mega mega title. Surely everyone would love to play a game based upon a reality TV show, because that's what we all love, right...reality TV shows? @bigk2k I was thinking too that Bayonetta 2 selling very well is the only chance Nintendo has of having 3rd party M-rated games come to Wii U. The horrible box art turned me off from the start. 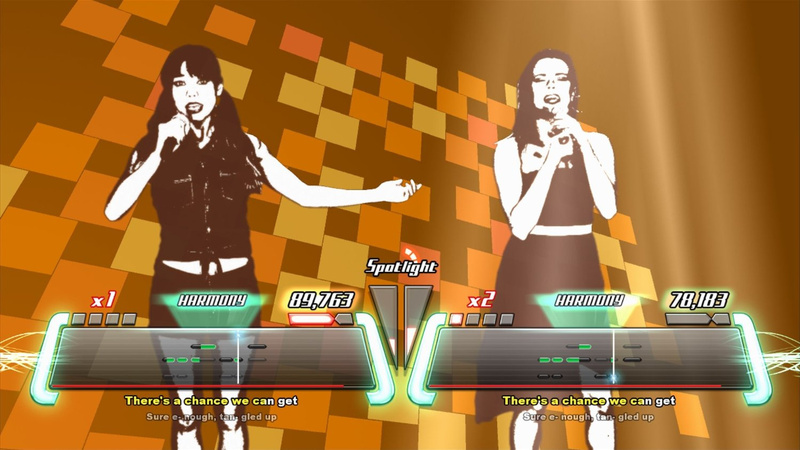 Let's be honest here, do we really need another Wii U Karaoke game? @Rafie Probably be cheaper than specifically getting a mic for that Joysound Karaoke. This is what they think I want? I feel pretty insulted by that. I'm becoming one of those gamers that only buys Nintendo games on Nintendo consoles its not like I have a choice. I would rather have Korra, CoD, and Destiny, Activision. NOT a liscensed game off of a sorry excuse of a television show. @Grumblevolcano Hopefully Nintendo actually tries with marketing this time. I still don't even see Hyrule Warriors commercials is the US, yet. Now they're just throwing crap at us thinking we want it because we're all "casuals" according to the non-Nintendo world.The very least they could have done is put the Korra game on the Wii U with off-TV play added. Here's the funny thing though: in North America, this show gets HUGE ratings. People seem to love it. By making a proper game for it, it could sell and play well (even if it is just a glorified karaoke machine). Call of Duty tried, twice, and failed. Destiny is an always online FPS. Honestly, why should Activision put these games on the Wii U? MK8 sold well, true. Super Mario 3D World sold well, true. DK: Tropical Freeze didn't really do much. And that's about all Nintendo's done here. MAYBE, just MAYBE Bayo 2 and Hyrule Warriors could have done a bit more, but none of those games draws die hard COD / Destiny style players to the Wii U. Maybe next year, if all these games manage to sell 4 or 5 million more systems, but I'm not holding my breath. Activision has no legitimate reason to support this console after attempting and failing with their best selling franchise. Oh and Korra? How could I forget? A game made by Platinum. Now, why would they not want to put Korra on the Wii U..? Because their last Wii U game, the Wonderful 101 FAILED. It flopped miserably. And Platinum basically wasted all that time so that, what, 30, 40 thousand rabid Nintendo fans could complain about it? Let's face it: unless Bayonetta 2 sells over a million, Platinum isn't going to waste another day with 2nd rate Nintendo hardware. 3rd parties don't support the Wii U with dumbed down ports the way they did with the Wii because they waited 6 years for a more capable system, and Nintendo gave them 2008, not 2012. I LIKE my Wii U, but I've also purchased a dozen Wii games, an Xbox (the first one, yes), a PSP, a DS and a couple board / dice games too. Because while I LIKE my Wii U, I don't love it. Many games I enjoy playing, even alot of the genres I enjoy are noticeably missing. And let's start forgetting that this system exists and move on. Nintendo lost it's touch and soon, they'll lose their reputation. @NodesforNoids The big thing about both Call of Duty games for Wii U is that neither of them are the definitive experience. People mostly don't play it for the single player but rather the online multiplayer and the fact that no DLC outside of the preorder DLC for other systems made it onto Wii U and that was delayed of course the other console versions would be bought instead. Yes...sure... By all means Activision! Bring shovelware to the Wii U! And then, when it doesn't sell at all, complain that the Wii U isn't a viable platform to produce for. Nintendo should fend off shovelware. Because THIS is what Wii U owners will buy on day one. Yes. This crap right here is why I am starting to purchase Nintendo games only for my Wii U console. No kidding. It's like 3rd party publishers are the only ones that don't realize the reason Wii U isn't selling in the numbers the Wii did is that most of the casuals switched to other devices. They need to be marketing games towards the N64/GCN audience if they want to move Wii U software - those are the fans who are still on the U.
Oh joy, must be a day one purchase for me, these third party developers are slowly losing any respect i had for them. Capcom, Ubisoft, EA and now Activison can all go do one. Hopefully Nintendo and platinum games will keep my appetite for gaming consistent. I do understand the points of why this type of game is what the Wii U doesn't need but seriously... It's a game! Coming to the Wii U! A third party game! It's at least SOMETHING! It's better to have something than nothing, and I remember you all complaining a year ago about how the Wii U has no games... Every game no matter how good has an audience and this is no different. It will bring in customers which is what we want regardless of what kind of game it is. @gloom "It's at least SOMETHING!" Now all l gotta do is to ready my throat to sing Barbie Girl. 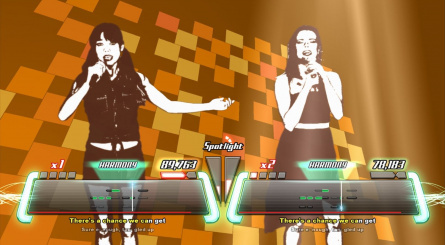 Let's be honest: Do we really want or need another Karaoke game for this system? I say no. 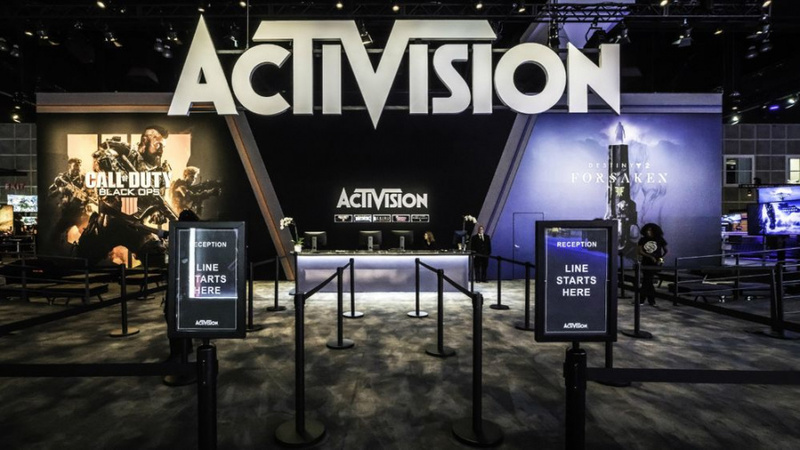 Granted I'm not the biggest Activision fan to begin with, but seriously, go take your reality show knock-off game to another console and bring us some of the other games you've been holding out on us on. this is just dance all over... i gotta go get myself a cave and hibernate. I'm not above bashing the Voice by any means, or any other games the Wii U gets, but how many 3rd party companies besides Activision have their own Wii U bundle, b/c I can't find one? And I think it's impressive Wii U is even getting Skylanders since Nintendo is releasing amiibo which is an obvious competitor. Activison could have easily justified "No Wii U for U" b/c of amiibo. So when Activison gives a Nintendo console a new game, all they get is grief, and people wonder why Actiivosn doesn't put more games on Nintendo consoles? I say save the hatred for EA. How about a quick poll, how many Wii U owners would absolutely buy CoD:MW if it came out on Wii U and you were charged extra to play online, just like on PS4 and X1? 10%, 15%? 3%? The Voice would likely outsell CoD:MW on the Wii U anyway and I'm sure its a heck of a lot cheaper to make and maintain. Are there Nazi Zombies in The Voice? More like EActivision... Such a failure. Activison and EA are a Pox on the Video Game industry that should just go away. Very soon these kind of "games" will be the only type that the third parties will put on Nintendo consoles. This will obviously please some people but for my two cents worth it is a sad outcome. Since they're dangling this insulting bait as a test because they want to make only Nintendo games people want, DO NOT BUY IT. If they just pull out entirely, there's no loss and if they try something actually worth it, then buy. Well, I'm not interested in Call of Duty, but I'm infinitely less interested in this horrendous fad. This is absolutely unnecessary! Don't we have enough waste of earth's resources?! Activision was once great and I bought every game they made but that was twentyfive years ago on Commodore 64. I guess our ways parted long ago. @BlackSpy I hope your kidding because this game is an Insult.it would have been better had Activision not released anything at all.no way I am buying this game. @NodesforNoids the wiiu could run destiny I don't buy that argument for a minute. cod failed in part because they didn't market the wii u versions and they didn't give dlc. I would have much rather Activision put a dead bird in a box and wrote wii u on it. At least that would be better third party support than the voice. I'm thinking this is only coming to the Wii U simply because the HD version is also going to be available for Xbox 360 and PlayStation 3. Who says the competition doesn't get the same type of shovelware?